7th to 12th graders meet each Wednesday night for their own powerful worship service, times of fellowship and fun. 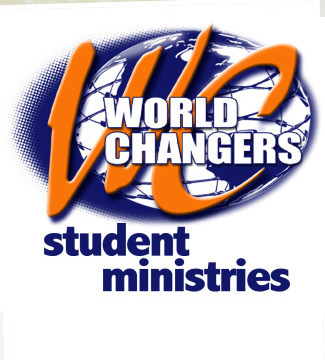 Student fellowship times begins at 6:00 with the opening of the World Changers Coffee House. Youth Worship service begins at 6:30 p.m. We are actively involved in training up student leaders. Our dynamic group of students participate in such events as drama, worship, Youth Camps, Winterfest, missions trips, and much more. We are raising up a generation of World Changers. Pastor Dan & Amanda Rozalski lead this dynamic group of student World Changers!